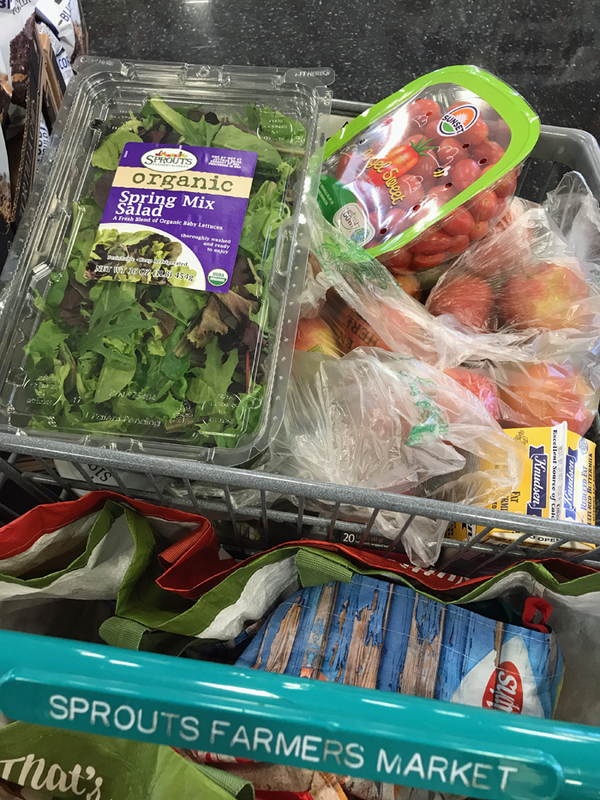 Want a peek into our grocery cart? 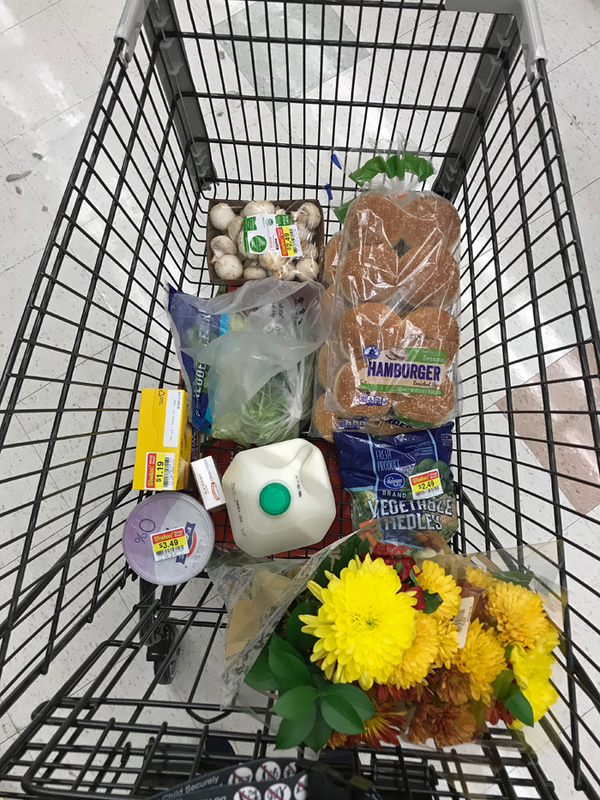 Here’s how I’m buying groceries and feeding eight people on the cheap. Did you know…. when I started this blog, this girl was a baby. We were still paying off consumer debt so that we could live debt-free. When she accompanied me grocery shopping, she sat in a baby carrier. Today she pushes the cart. It’s been a crazy ten years, so different than when I was shutting her eldest brother (now 21) in the grocery cart. In the late 90s I had no clue how to work the deals, shop the clearance, or make such canny use of leftovers. 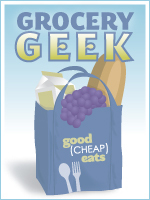 Ten years ago when my girl was just a babe in arms, our grocery budget was a slim $500/month. Today my small army of boys (4 of them) has grown into a terrific team of teen and adult men — with the appetites to match. 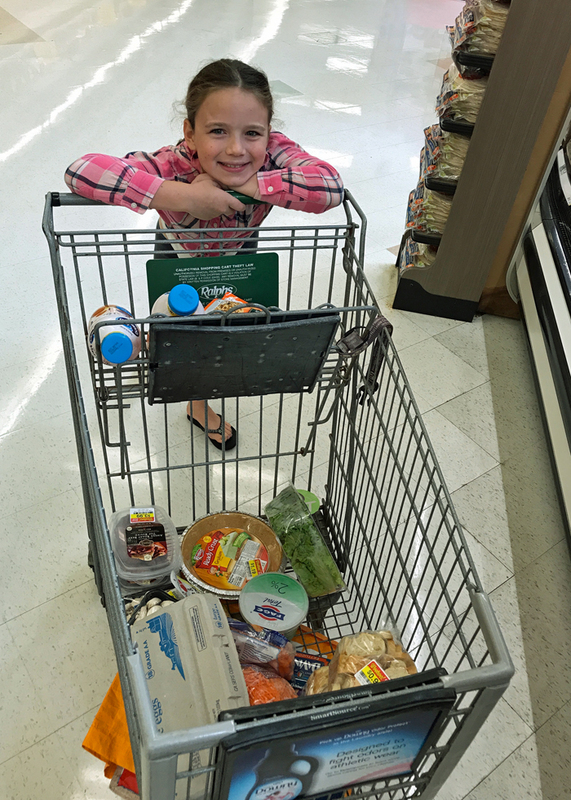 While we’ve more than doubled our grocery budget over the last ten years, I’d say we’re still doing pretty well when it comes to sticking to a frugal lifestyle. 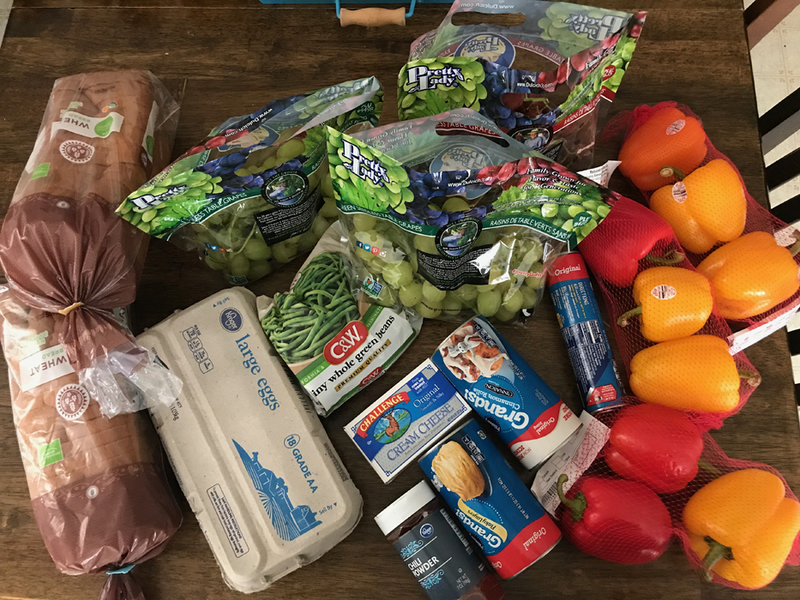 This past month I got a little lackadaisical in my shopping, but as you’ll see at the end of this post… it all works out! I’m feeding eight people, ages 55, 46, 21, 17, 16, 14, 11, and 10. Five of those people are males. They eat A LOT! I’m shooting for a budget of $1100 this year, trying to beat what the feds think it will cost. Per the most recent USDA food cost reports it should cost our family $1349.60 to eat all meals at home under the “thrifty plan” for people of our demographics. I did the math for the upcoming birthday age switching and next month the USDA budget will be $1373.30. I’m trying to feed us mostly unprocessed foods, with a few “healthier” convenience items thrown in and a junk food splurge* here and there. 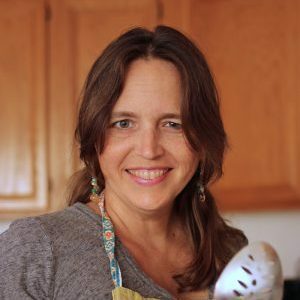 I work at home and teach five of our kids, so I don’t have as much time for fiddling in the kitchen as I would like. We mostly eat at home. My husband and college age son often pack lunch and breakfast to work, but sometime have lunch out. My husband and I enjoy a date once a week. FishPapa takes one child out to “dinner with dad” once a week. We eat out as a family on average once a week. That’s an average of $1094/month! As you know, I work back and forth, some months spending up to (or maybe beyond?) our budgeted amount, but I make up for it by spending less in other months. Looking at the year as an average helps me stick to our budget without freaking out. That said, my “cushion” is almost depleted, so the next two months will be critical for keeping to 2018’s new budget. Since we plan to do a 2- or 3-week pantry challenge in November, I think we might do okay. It will be a little tough, since the holiday foods are so tempting to me, but I took a look at the calendar today, and I might be too busy to do much shopping! How is YOUR grocery shopping going? I had that same question! They are chocolate sandwich cookies from ALDI. Super cheap and good! I spent $1,300, instead of my usual $1,200 last month. I bought some special foods for the kids to eat while their dad & I were out of town. The 5 week month also affected us. Plus I bought 150 lbs of local butternut & spaghetti squash. My grocery budget is always pushed in November & December with all of the holiday stockups. But, overall, I’m still nearly $300 less per month than the government’s thrifty plan for my family, so I’d consider that a win. 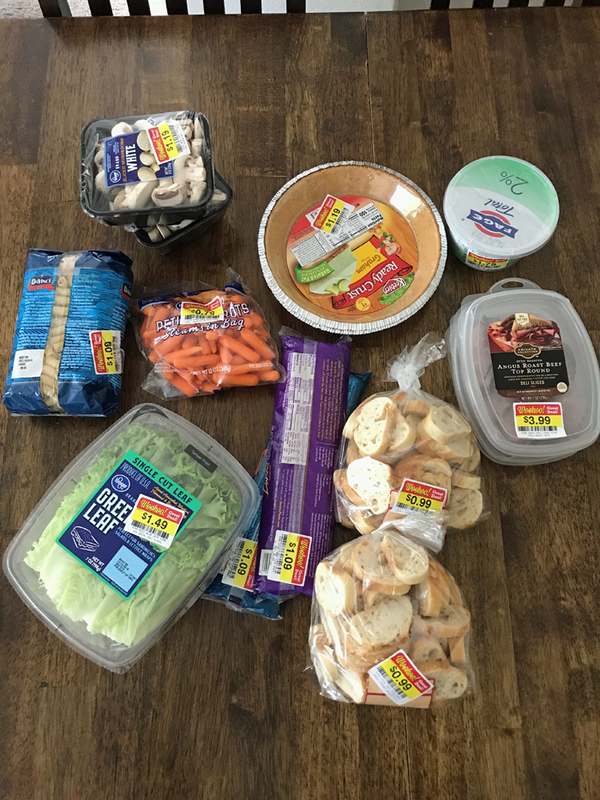 Aldi really has made a huge difference in my budget. That said, you can make it work, you just have to pay more attention. Under in September and over in October here…it does even out I think in the end. We’re planning to purchase a locally raised/butchered pig this month but I’ve set aside funds for that. 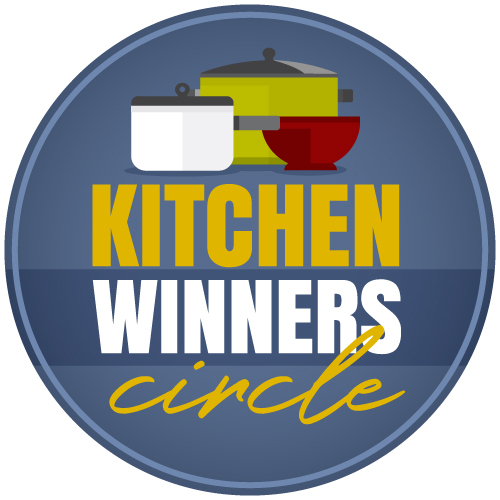 Love the idea of a mini pantry challenge this month in the weeks prior to Thanksgiving! Because we don’t host any of the larger gathering for the holiday season I can usually keep our meals simple and not go gang busters on the holiday food. The kicker for us here in New England is that the price of produce increases significantly beginning now and won’t go back down until May/June. I can imagine that winter produce prices get crazy. How about focusing on frozen, canned, and dried? Also, hone in on what’s on sale, typically things like cabbage and citrus? We were up in October as well. We came in at $366.82, but that includes two bushels of apples and some splurge items that we bought at the orchard store. Our monthly average is at $243.98 for the three of us, so overall we’re still doing pretty well. How great to find a good deal on apples! I haven’t seen a good price in awhile. Friends of ours operate the orchard, so they gave us a deal on mixed seconds. The mixed variety of apples makes the best applesauce! We can a bunch of applesauce and apple butter for gifts and for our own use. We also have a little Anna apple tree in our backyard, so when it’s producing we have “free” apples to munch on. We like Annas sliced for eating and for applesauce, but they are not good storage apples. I love Annas. We used to live near apple country (SLO) and would go to See Canyon and buy bags and bags of heirloom varieties. They were absolutely amazing! Annas seem to be the only variety that will actually produce in our zone; otherwise we’d probably have other varieties as well. Instead, we make an annual trek to Oak Glen to get varieties not available in the stores (Winesap, Liberty, Arkansas Black, etc.). It gives us a good excuse to see our friends as well. I think we missed our window. Apples this far south ripen really early. I have had vertigo for two months now, so when it was really bad for vertigo was the really good time for apples. Next year! Oh, bummer. Vertigo is so debilitating. Hope it clears up soon! 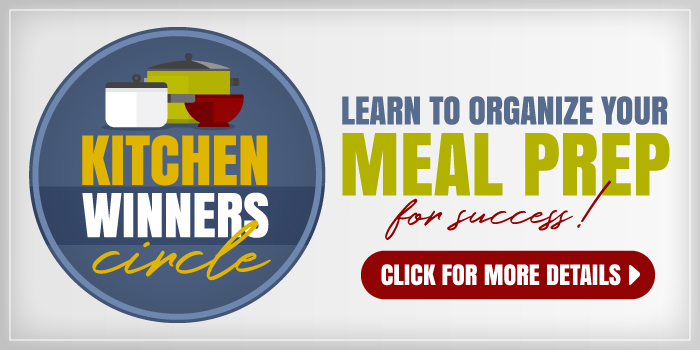 As usual, Im jumping back on the band wagon of food budgeting as the holidays come around. 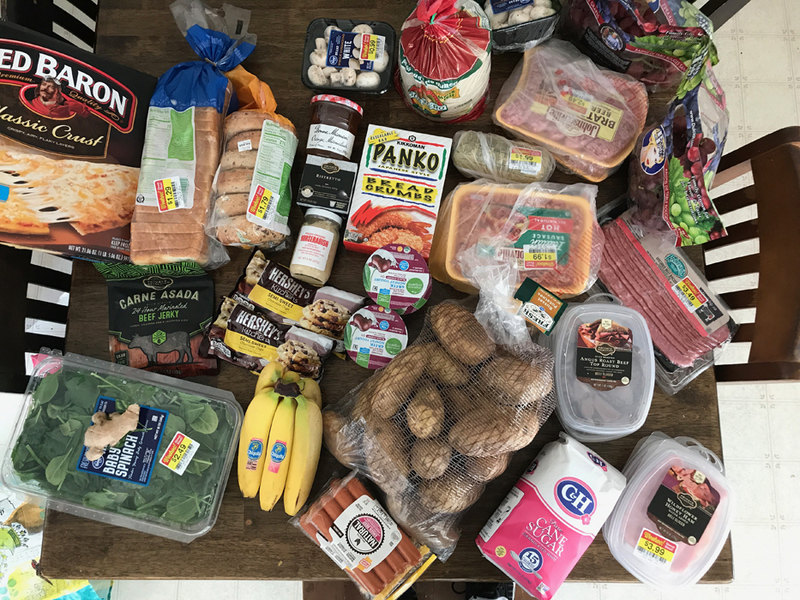 I’ve been downsizing our pantry over the past several months- trying to minimize waste by including leftover nights in our weekly menu, purposely not going to costco as often as I was and using amazon subsciption (part of my effort to avoid the stores- to curb my spending…haha). According to USDA we should be at about $1562/month for family of 5 in Hawaii- Im at about $800-$900. You are doing an awesome job, Marci! Nicely done! Hawaii is a tough place to beat the USDA reports! While my aim is $200/month, I’m okay with up to $225. Our YTD average is $215, so I guess it’s working. It would have been a lot nicer number if we hadn’t been without power for so long that I dumped everything from the house fridge and freezer when power came back on. That was difficult to do, and I had to just shut off my brain so I would not think about what I was actually doing. At least the shelves and drawers were nice and sparkling clean afterwards! We had prepped the outdoor freezer well enough that those items survived. The mental anguish of how much money would have been thrown away from there… Nope. Don’t want to do that again. I finally broke down and bought a generator for next time. Hurricanes taking out power 3 years in a row is enough! Replacing what was thrown out has taken a small chunk of change. It also renewed the determination to clear out the outdoor fridge. I go through the spurts of efforts and then slide back into laziness. We are focused again! Part of how we saved the outdoor freezer was because we had been working on it and had some open space. Yay for pantry challenges! When we heard the hurricane was coming, we shoved water bottles in every nook and cranny and cranked the temp up to max. It had 2 days like that before Michael arrived. That way everything was fully frozen solid plus all the water bottles helped hold the temp when the power went out. We refused to open the door at all until power came back in order to keep every bit of cold air in and warm air out. When power was restored, we checked it and a few items on the top shelf had softened (warm air rises!) so I chucked those but everything second shelf down was still firmly frozen. Hallelujah! So glad you weathered the hurricane well! It can be so sad to see all that food go bad. Yikes! And yes, it is hard to stick to that resolve! I hear you on that.